Small businesses play a pivotal role in fueling our local economy – they create jobs, make critical investments in our communities, and help grow our region. That’s why Sandy Spring Bank partnered with the Washington Business Journal (WBJ) to survey local small business owners and decision makers. Sandy Spring Bancorp, Inc., (Nasdaq- SASR), the parent company of Sandy Spring Bank, today announced that the Company’s board of directors has authorized the repurchase of up to 1,800,000 shares of the Company's common stock, or approximately 5% of currently outstanding shares. October 18, 2018, Sandy Spring Bancorp, Inc., (Nasdaq-SASR), the parent company of Sandy Spring Bank, reported net income for the third quarter of 2018 of $29.2 million ($0.82 per diluted share) compared to net income of $15.1 million ($0.62 per diluted share) for the third quarter of 2017 and net income of $24.4 million ($0.68 per diluted share) for the second quarter of 2018. Daniel J. Schrider, President and CEO of Sandy Spring Bank, was named one of the most influential finance executives by The Business Journals. 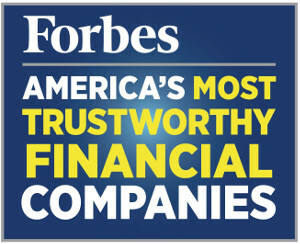 Sandy Spring Bancorp, the holding company for Sandy Spring Bank, is proud to have been recognized by Forbes magazine for more than a decade as one of the 50 Most Trustworthy Financial Companies in America . Sandy Spring Bancorp, Inc., (Nasdaq- SASR), the parent company of Sandy Spring Bank, announced that the board of directors declared a quarterly common stock dividend of $0.28 per share payable on August 15, 2018, to shareholders of record on August 8, 2018.